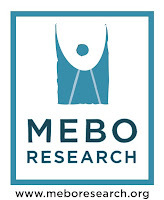 I am most excited to announce that NORD's Board of Directors has approved the application for MEBO Research, Inc., as one of NORD's member organizations. As a National Member Organization,we are now proud to be on the "CURRENT LIST OF MEMBER ORGANIZATIONS," and as such, we are encouraged by NORD to display the NORD's Member Organzation Logo on our website and blogs. As a member of the NORD membership community, we join the conversation and bring the power of more voices together to achieve mutual goals on behalf of patients and families affected by rare diseases. With broad representation on a geographic and disease-specific basis, NORD can have greater influence on advocacy efforts that benefit all patients with rare diseases. Education: Member organizations are supported with ongoing educational webinars on policy issues and the public policy process, as well as access to senior level representatives within the FDA, NIH, CMS, and other governmental agencies. Opportunities to Connect: NORD provides member organizations with the opportunity to connect and gain access to the knowledge base within the membership community and to learn and share best practices on issues of similar concern. These can be related to public policy, or to developing their organization, building capacity and meeting the needs of the patients they represent. Research Support: NORD supports the research efforts of member organizations through information-sharing related to sources of research funding. NORD also administers a limited number of research grants. Member Organization Visibility: NORD partners with its members to create greater awareness for them throughout all NORD communications materials and the website, through listing of member activities and events, and attendance at select medical meetings. Patients who contact NORD are also referred to the appropriate member organization. Voting Privileges: National Member Organizations are eligible to vote for the NORD Board of Directors, as well as on agenda items at the NORD annual meeting. Dated by-laws with Mission statement compatible with NORD's goals of being patient-centered, and advocating on behalf of patients in the rare disease community. Names and addresses for a minimum of five board members. MEBO currently has five (5) registered board members in the United States. Although for this National Member Organization application only the listing of the board members of the US charity were required, MEBO also enjoys the support of an additional five (5) member Board registered in England and Wales. Annual Budget approved by the Board. Great work to everyone in the community especially Maria. Hang in there everyone we are making progress. Im sure in a few years time we will be cured.